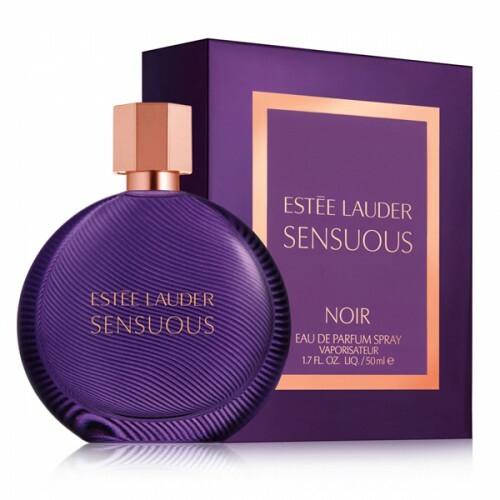 Estee Lauder Sensuous Noir is a mysterious and seductive fragrance. Estee Lauder Sensuous Noir 100ml. Eau De Parfum is feminine, full-bodied and rich flavor. Mysterious and seductive fragrance, rich notes median molten wood and patchouli noir cream surrounded by bright floral notes of spicy lily, purple roses and other flowers, the scent of which is revealed at night. Like the seductive feminine forms, eau de toilette fragrance Estée Lauder Sensuous Noir embodies the warm and mysterious sensuality of its owner. Perfume Estee Lauder "Sensuous Noir" is the choice of a single-minded, modern woman. Our online perfume store offers you a huge selection of beautiful perfume, where you can choose something to your taste and buy exactly the female spirits, who have always dreamed about. Incredibly deep and sensual, deliciously intoxicating perfume Sensuous Noir from Estee Lauder created in order to emphasize the soft femininity and charm of its owner. It is filled with a warm top notes of rose, pepper, jasmine and spices. In the heart bouquet contains the most graceful and elegant notes of guaiac wood, patchouli, white lilies and pine, which are enchanting, mad dance woven eagerly base of amber, benzoin shades of vanilla and honey. Sensual nightfall. At the height of sensuality. Feminine. Saturated and rich. Mysterious and seductive. Rich notes median molten wood and patchouli noir cream surrounded by bright floral notes of spicy lily, purple roses and other flowers, the scent of which is revealed at night. Like the seductive feminine form, fragrance Estee Lauder Sensuous Noir embodies the warm and mysterious sensuality of its owner. Aroma type: Wood-floral chypre Feminine: Exotic Purple Rose - a symbol of passion - is famous for its captivating beauty and exquisite flavor. A warm balsamy-woody fragrance with a touch of honey. It is a luxury.